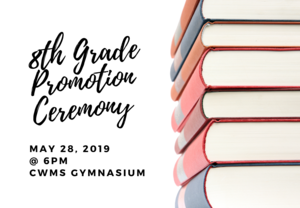 Congratulations 8th Graders! We know you will do wonderful things wherever you may be going! 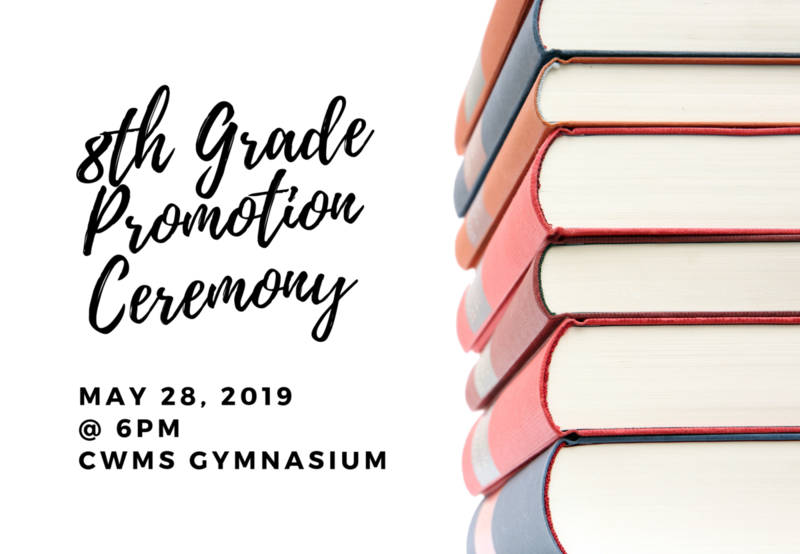 Join us on May 28th @ 6 pm in the CWMS Gymnasium for the 8th Grade Promotion Ceremony!